This is the last known commercial production run of this caliber made! 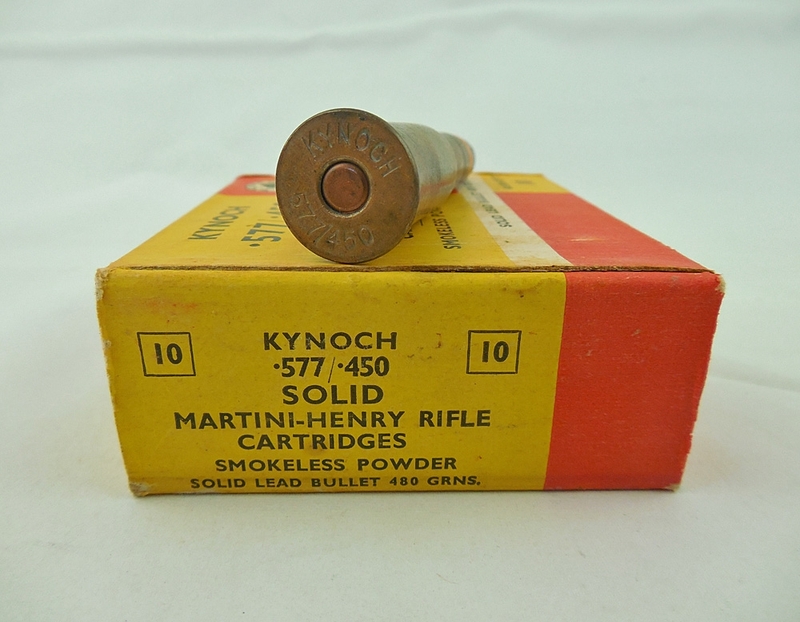 For use in the famous Martini-Henry single shot falling block rifle. 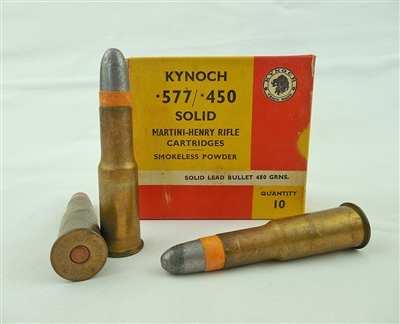 480 grain solid lead bullet with orange paper patch, drawn brass case.